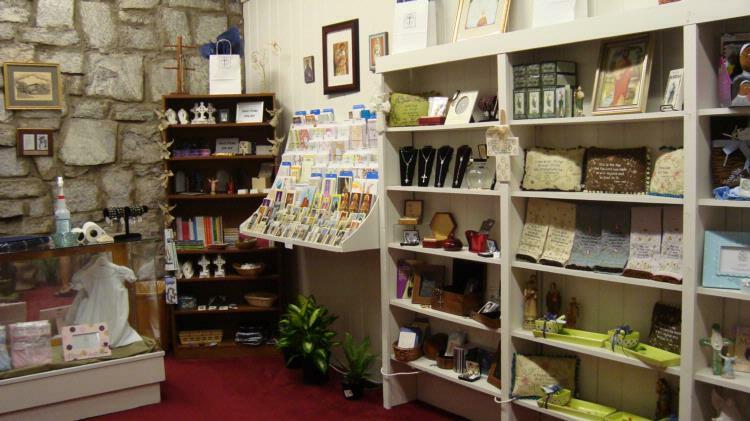 The Ave Maria Shop is located in the church vestibule and offers religious articles, gifts, books and cards for sale. It is open after all weekend Masses (excluding holidays) and is staffed by parishioners. Proceeds are given back each year to our parish to fund special projects. If you would like to serve the parish by helping with the shop, please send an email to us! For more information or to serve, contact the Ave Maria Shop.